Home » Treadmill » What is a Manual Treadmill? Treadmills are a staple of modern running. Whether you are looking to get a quality workout in while the weather bad, or you are just looking to do a little warm up before another kind of workout, the machines are ubiquitous. Go to any gym, and a line of runners can be seen chugging away, motorized belts whirring by under their feet. 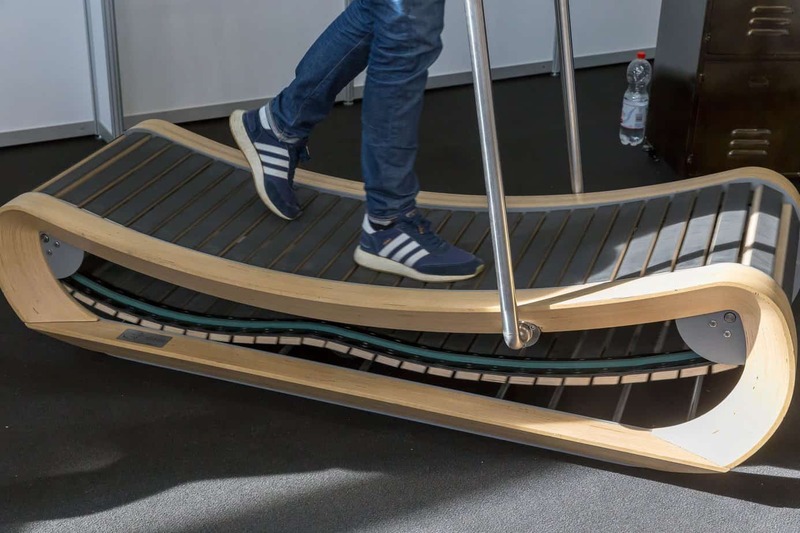 Given their everywhere-ness, it shouldn’t be surprising that some users tired of the displays, buttons, gadgets, and gizmos tricking out treadmills. Running, at its core, should be simple. It only makes sense that treadmills should be simple as well. Enter the manual treadmill. Actually, manual treadmills have been around since before electricity. (Fun fact: the first tread mills were designed to have prisoners grind grain, as a form of manual labor). These days, treadmills have moved beyond corporal punishment, and manual models are back en vogue. You have many options when looking for one, but they all have one thing in common: you provide the power, not a socket in the wall. A manual treadmill, as the name implies, is not operated by electricity. It’s operated by you and your legs. Put another way, the belt will only move if you move it. The action of your feet pushing against the deck pushes the belt. Instead of setting a speed with a button and then having to keep up, you control the pace with your effort. Manual treadmills come in two different varieties: flat belt, and curved belt. The former is a flat surface that is activated when you run and deactivated when you stop. The latter has a curved surface, that roughly follows the arc your feet naturally move in. While manual and motorized treadmills share the word “treadmill,” they are quite different. First, a manual model requires you to build your own speed, and is operated only by your motion. In contrast, you can set your speed on a motorized treadmill, and it will run whether you are on the treadmill or not. In addition, you can select incline options on a motorized treadmill during your workout. With most manual treadmills, your incline is static. It can range from level to upwards of 10%, which is fine for walking but grueling for a run. To change incline, you have to stop, get off, and change it. In this same vein, a motorized treadmill gives you significantly more bells and whistles with workout plans, heart-rate monitors, calorie counters, fans, and so forth. You won’t see any of this on a manual treadmill. Whether that’s good or not is a matter of preference. You’ll have fewer injury concerns on a manual treadmill because this type of treadmill stops when you stop. But a manual treadmill can also cause more joint stress, as it is a more strenuous workout. This might be a particular concern if you have knee or hip arthritis. Manual models are lighter, smaller, and easier to store, in addition to costing significantly less (Usually. There are still some eye-popping prices out there). 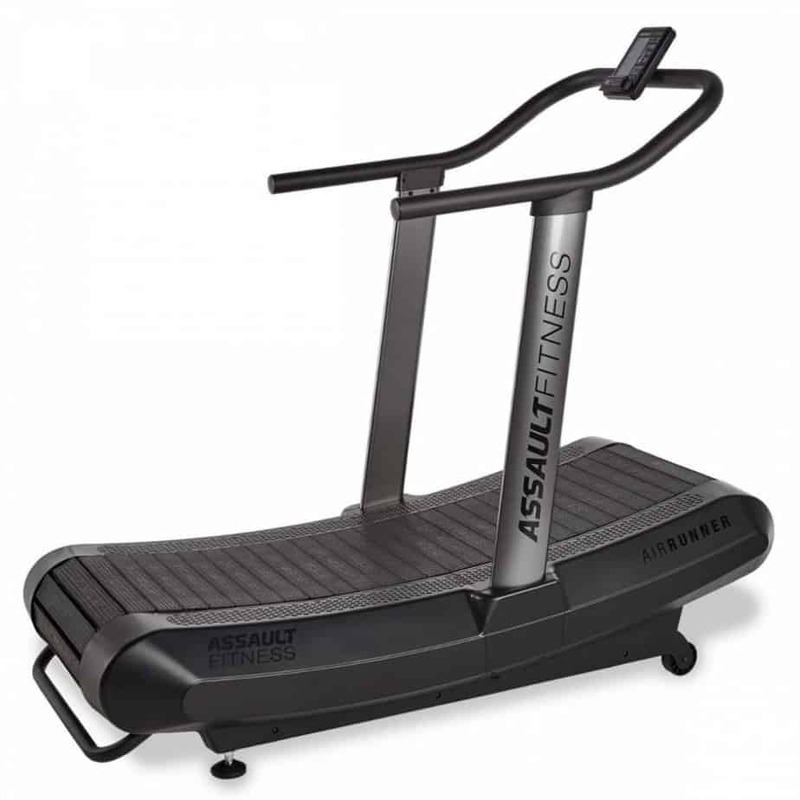 You can find manual walking treadmills for less than $200 – about ¼ the cost of a basic motorized treadmill. Finally, manuals don’t require yearly maintenance like some motorized models do. Since a manual treadmill requires more effort than a motorized one, it should be no surprise that one study found that individuals used 30 percent more energy on a manual versus a motorized treadmill, thus giving you a better workout. Similarly, another study found that runners had higher heart rates at the same speed when using a curved belt treadmill – over 20 beats per minute higher on average. Here are some other things to keep in mind. A curved-belt manual treadmill is better than a flat one for runners, while walkers can use a flat-belt treadmill. One reason is that you often cannot get beyond a speed of 3.5-4.0 mph on a flat treadmill. If you have kids or pets at home, a manual treadmill might be a good, as you don’t have to worry about automatic moving belts. Plus, it’s also safer because it stops when you stop, and there’s no electricity required, since it is muscle powered. Manual treadmills require more attention and effort of their users. You vary the speed yourself, so whether you are getting a good workout or a so-so one depends on what you are putting in. Some runners thrive on the manual treadmill, while others struggle to maintain their pace and heart rate. In general, manual treadmills offer a great workout. Athletes often use them for high-intensity workouts, using curved belts for sprint intervals. With a manual treadmill, you’ll get a great workout for your legs and core, and it is an affordable alternative to a motorized treadmill. Whether you’re looking for different ways to spice up your workout routine or just can’t justify spending hundreds or thousands of dollars on a motorized treadmill, a manual treadmill might be a good option for you.